Cupcakes 'n Daisies: When in doubt, wear red . . . . It is a beautiful bundle! I have been checking it out for a while now. I can't wait to get one! oh my I need this bundle for sure, I could whip up another quilt like I just finished in red and white OR a crumbler in red and white???? Love your bundle. Great choices of reds and neutrals. dang it, Thelma - you know me and red!!! pink or purple or green or orange - anything but RED!!! How fun to be asked to do a bundle! Your taste is terrific, and I'm sure this will be a winner. your bundle is delightful and so you! Way to go, Thelma! How exciting for you to be included in the Blogger's Choice. 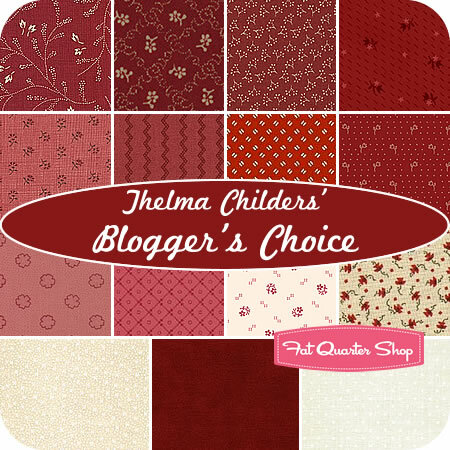 Okay...so some of these would be really nice in the number #80 quilt you did and I have already received the pattern....nicce choices Thelma and looking forward to your "chip" quilt. I stroll the "coming soon" section weekly and saw your bundle. I immediately nodded my head up and down and said to myself, "That's so Thelma!" Yay! Love your bundle!!!! I love Madder Stars:) I still need to figure out which pattern I would use for my bundle (out of the contenders). Then I can wrap my head around the beautiful bundle you picked! Everyone should have at least one red and white quilt in their collection don't they? Just this past Monday evening, the local quilt group I'm a member of decided that our 2013 project would be heart blocks, using red, pink, and cream fabrics! After reading your post today I decided that your red bundle will be perfect for this project! My name is on the list at FQS for notification... I'm excited! So beautiful! What a great combination! How exciting! I'll have to sign up for a notification. One can never have too much red in their stash! Congradulations! To be asked to put a bundle together is quite an honor for sure. I am all excited for you. And you did a very good job at choosing the fabrics. 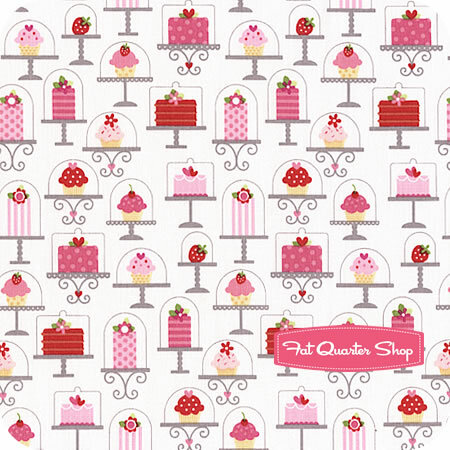 Too bad for that Sweetcake fabric, it is so you! I have recently discovered your blog and I really liked what you were doing so I went back to your very first post and read them all. I feel like I know you now. You put so much of you in every post; you are not afraid of sharing your experience and how you feel about the quilt you are putting together (or the tool that doesn't working for you) that it is also a lovely experience for the reader. Thank you for that. I had my heart set on a Jewel Box quilt all with red scraps. Your bundle is what I've been waiting for. Thanks Thelma. Beautiful fabrics, and so many gorgeous patterns! RED IS BEST! Surely it suits everybody, well, it suits me. Words to live by: when in doubt wear red. And congratulations on being asked by the Fat Quarter Shop. I would do nothing they asked me to! 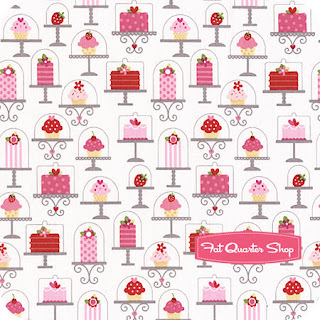 They're so good, especially for us international customers who have to pay $22 per metre for quilting fabric.